New mom, you are doing great. Without warning, I bawl… like my baby. With puckering lips and tears streaming, I want someone to rescue me from my own emotions. Thank you crazy hormones. Desperate to hear encouragement as a new mom, my soul longed for words that share hope. Words that not only give perspective, but also chill me out from my own self-talk of defeat. Even a few years after the new mom phase, I’m still well aware that my compass for this motherhood thing can be quite broken. In the midst of the intense challenges of caring for little ones, I give in to the voice shaming me that I have so much to learn. That nagging whisper points out how I should play more creatively. Teach more strategically. Clean more thoroughly. Plan ahead more clearly. And just when I think I master something with one child, the next one throws me for a loop! After a long day, I sit down for a glass of wine, or maybe a shower, and my brain opens up. It starts recounting every moment of failure. I raised my voice too much. So and so’s 2 year old is potty trained already. This chick on instagram loves motherhood more than life. I bet she never raises her voice like I do… or waits til 9pm to take a shower. A lot of people think social media is a waste of time, but I find that some days it helps me understand the state of my heart. And this day, it helped me to recognize which voice is replaying in my head. And will continue to in every phase of my children’s development IF I DON’T GET A GRIP on it. From pregnancy comparison through high school graduation, that voice will nag if there’s an in. 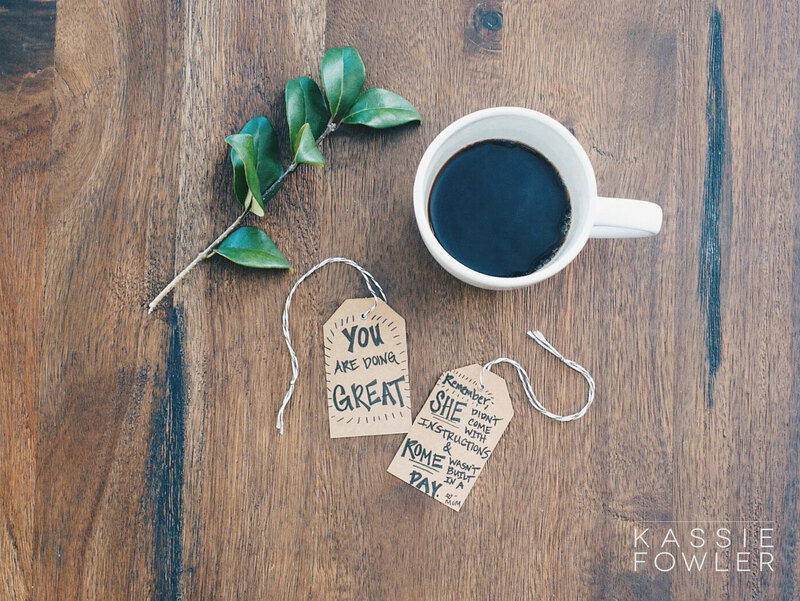 Imagine if every mom really believes the words…You are doing GREAT. I’m probably the worst at celebrating what was accomplished. I tend to look at what needs improvement. all. the. time. But, I’m learning that I’m a better mom when I can say “it is good.” I’m also a better wife and an all-around healthier person. Not to say we’ve arrived (because who ever does? ), but what if at the end of the day, we say to ourselves “it is good”? It’s like muscle training… training your brain to think a different way. To feel uncomfortable when it starts to dwell on shame and guilt. Training it to feel at home, not in a foreign land, when it is filled with satisfaction. Satisfaction in adding one more brick to the building. Satisfaction in how you moved the ball forward today. One day may feel like a win and the next a loss, but collectively, you are building something in that little human. And it does not happen overnight. Just like Rome. So, the good news is that you can feel defeated somedays without living like a loser. You can feel disappointed without living hopeless. The brain can be trained to dwell on higher thoughts. So let’s shut down that voice that whispers all the things we could do better and celebrate that our kids are alive and deeply loved. Tuck in those kiddos, send that final email, wash that last dish… and then celebrate, “It is good” because your job is not easy, my friend, and YOU are doing great.